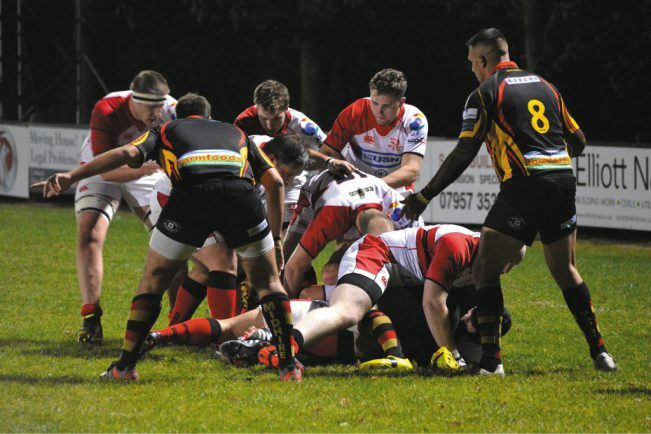 BROMSGROVE RFC will be hoping to return to winning ways this weekend as they entertain eighth-placed Lichfield RFC. Following on from their collapse at Syston, the Boars fared no better in Saturday’s game at National League Three Midlands leaders Hinckley as they slumped to a 26-0 defeat. And for Bromsgrove’s director of rugby, Dan Protherough, the game against Hinckley, who boast a 100 per cent record this season, was a game of two halves. “We conceded twice within the first ten minutes and twice just before half time so the score was 26-0 at the interval,” he said. The last meeting against Lichfield saw the Boars clinch a narrow 25-22 victory and Dan will be hoping that his side can do the double. “Lichfield failed to take their chances in the last game and we capitalised on that,” he said. “But we have to be careful as they’re a really pacey side and can cause a lot of problems even from their own back line. Apart from a couple of injuries, the Boars have a similar squad to choose from ahead of Saturday’s game.